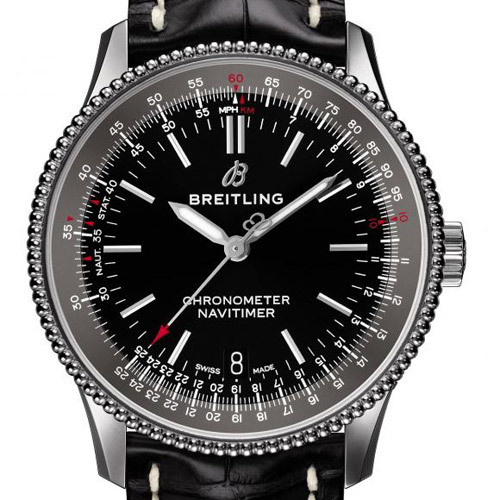 New Breitling Navitimer 1 Automatic 38 watch joins 43mm and 41mm Navitimers that also launch this year in Basel. Stylish and compact, the Navitimer 1 Automatic (38 mm) may be the smallest in diameter, but it is the ultimate statement of elegance and sophistication. 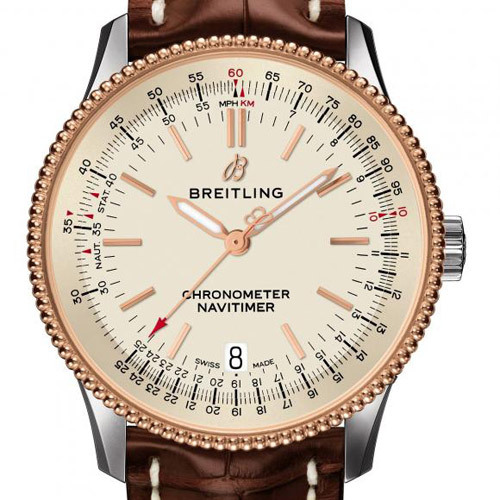 Breitling Navitimer 1 Automatic 38 is powered by a COSC-certified movement, the calibre 17 – based on Sellita SW-300 – with 40h power reserve and 4Hz frequency. The movement displays the hours, minutes, seconds and date (positioned at 6, on a disc matching the dial). The movement is hidden behind a steel back. 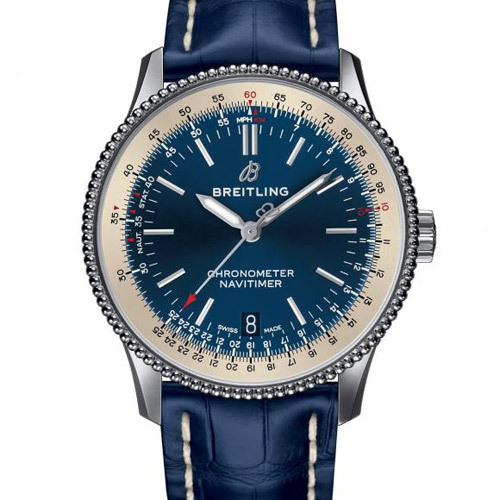 The ideal accessory for the adventurous Breitling woman and man, it is available in steel and steel & gold with dial in black, blue or silver. All versions of the Breitling Navitimer 1 Automatic 38 are worn on alligator straps with steel pin buckle. Prices will be CHF 4,000 for the steel versions and CHF 5,400 for the steel-and-gold versions.